Here is some March Mini Cheer – some little bits of happiness. Three stags in the morning. A jar opener that will prevent me spraining my wrist a third (!) time. 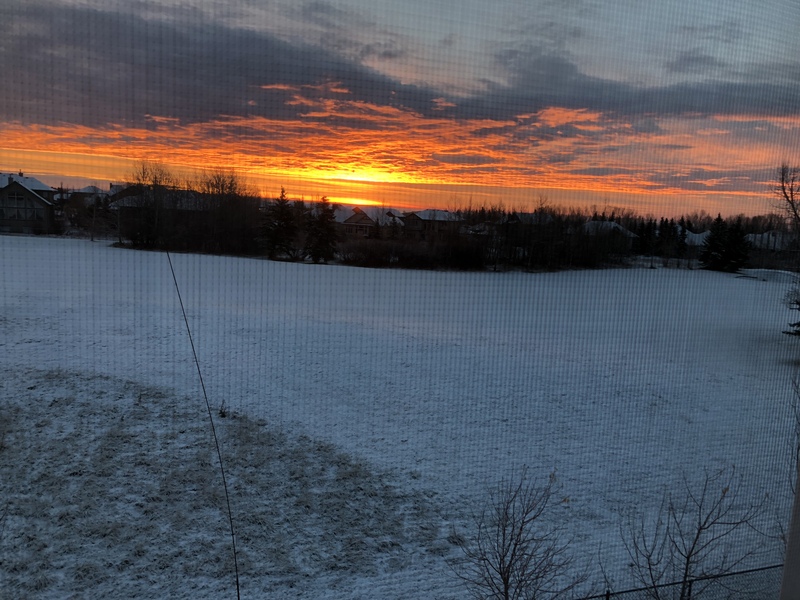 Sunrise through the window screen. 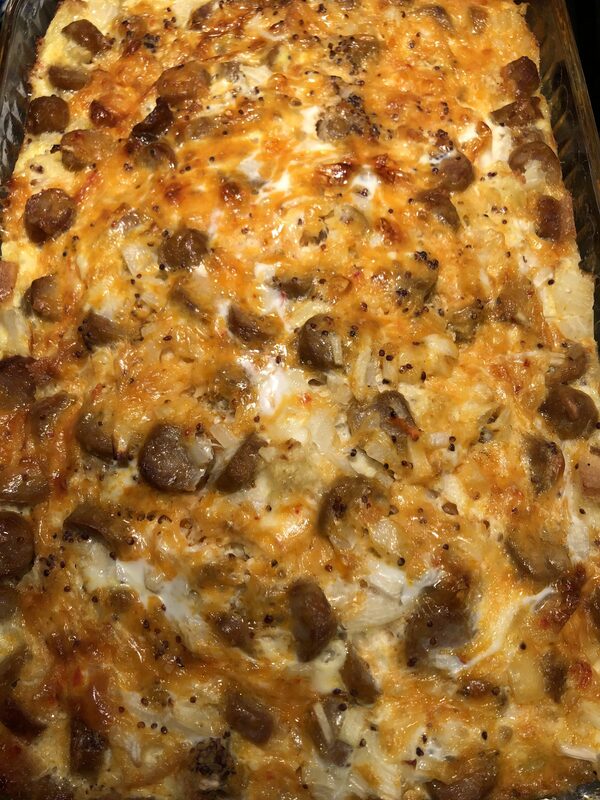 A sausage and egg bake with onions, mustard and Moroccan spiced cheese. 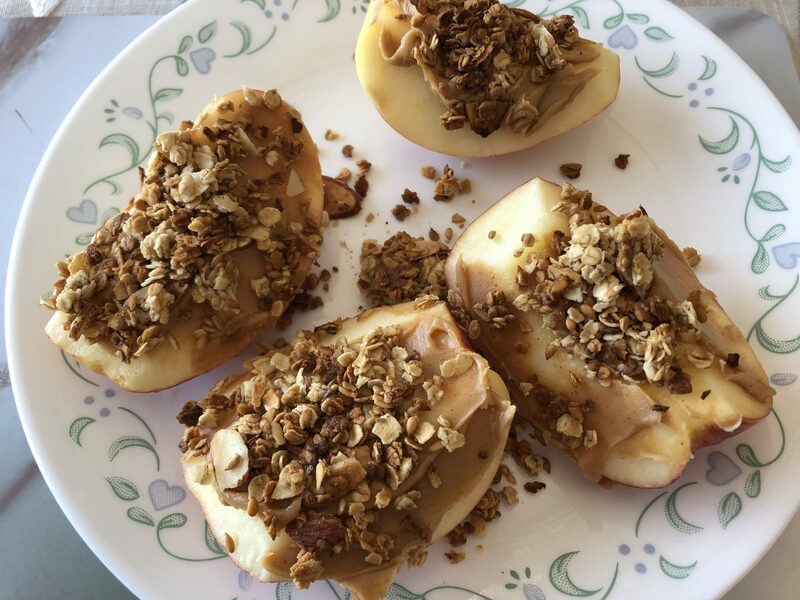 Apples with peanut butter and a bit of homemade granola. D > Food looks good! Perhaps the deer are hungry, desperate for new growth. Surely they don’t normally come so near to the houses? Oh yes, they come right up to houses on farms and towns all year round. That is why I plant my tulips indoors. If not, they eat them all! My outside flower borders must be planted with “deer resistant” plants such as salvia which they find too strong for their tastes. I grow my cucumbers and tomatoes in the deck. My in-laws live on a farm and I have had to chase moose from the gardens in summer because they are eating the cabbages! That sausage egg bake looks divine. Are you going to share your recipe? I don’t measure anything so it wouldn’t be much of a recipe, but maybe I’ll pay attention next time!